My Brother Got Married!! I wanted to share with you these adorable favors we made for the big day! Mason Jars are so popular right now, so I knew I wanted to do something that included this hot trend. 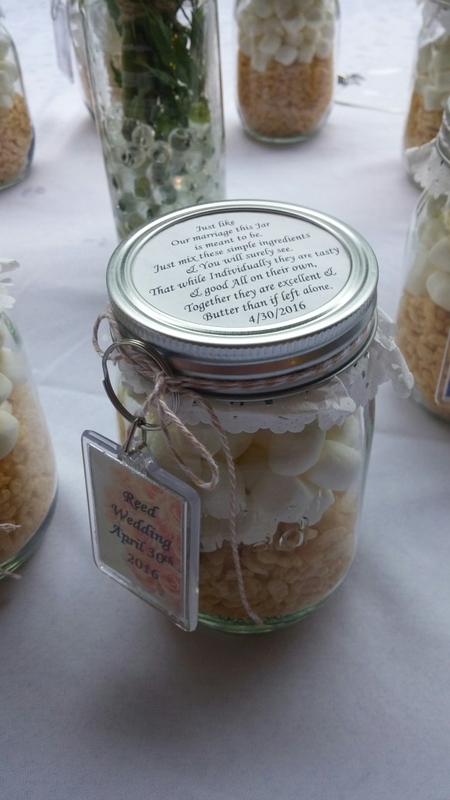 The original plan was to make personalized drinking glass with chalkboard paint and dangle a piece of chalk for each guest to write their name. However as the wedding date got closer and closer we changed our minds and did something completely different that I just loved and had to share! Maybe you will fit something like this into your wedding festivities? 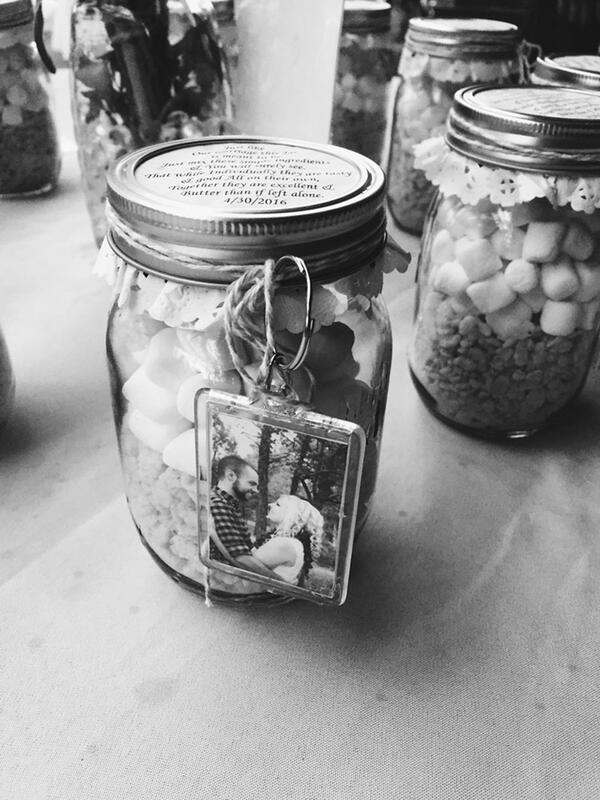 The wedding was definitely on a budget so we were looking for ways to use these jars that was economical, could be put together fast and of course useful. 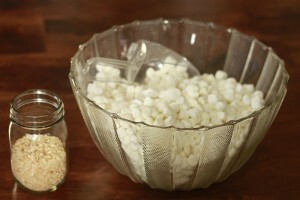 We come up with make at home Rice Krispie treats! My husband came up with the cutest poem possible to go with it too! It was just perfect, take a look! 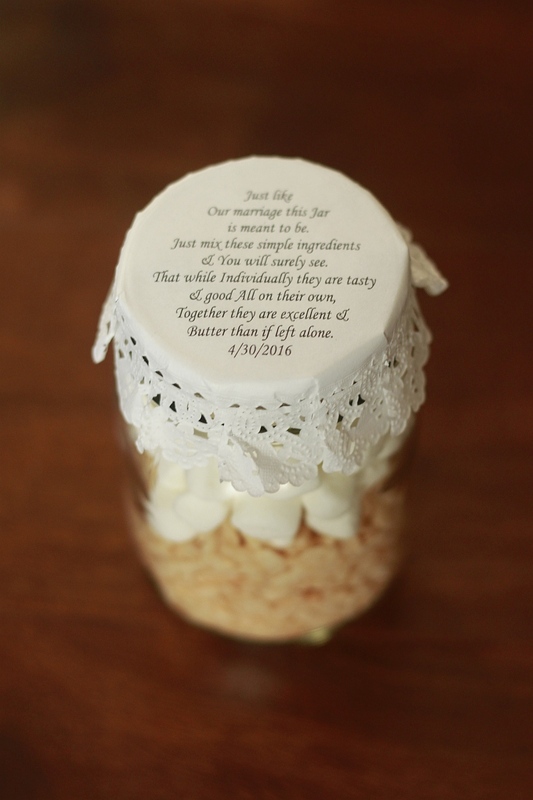 We started with 16oz mason jars and filled them halfway with Rice Krispies. It was about 1 cup of cereal per jar. Then I scooped a heaping cup of mini Jet-Puffed Marshmallows into the jar. Then I printed this “sweet” poem out on paper doilies and formed them over the opening before putting the lids and bands on. Can you read that?? My husband made the BEST PART!! I should even charge you to use it, it is THAT good!! But since I like you so much, I will just write this amazing poem out for you! & you will surely see. “Butter” than if left alone. 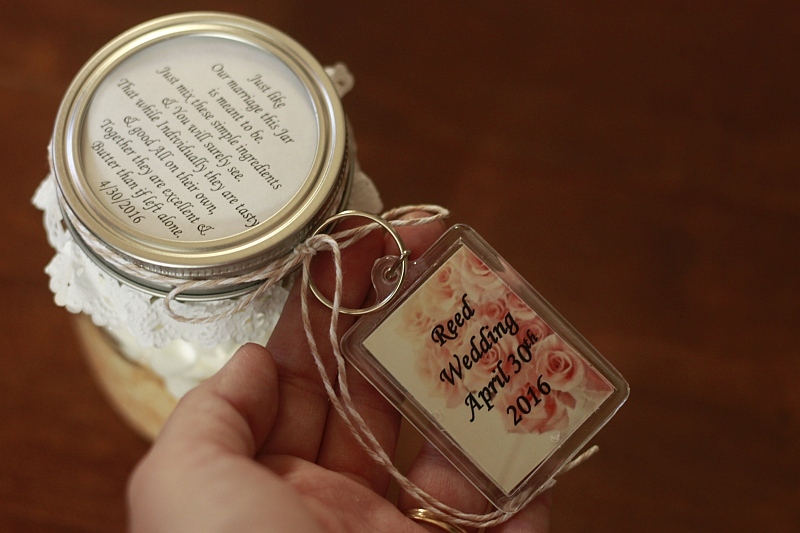 I then tied this cute little keychain (Name and date on one side/picture of the couple on the other) to the band with twine to finish it off! What do you think? I think they turned out just perfect! As always if you like these tutorials and want to see more please “like” and “share” our Easy Roller or New Mini Easy Roller with your co-workers, friends and family! It means the WORLD to me:)! !